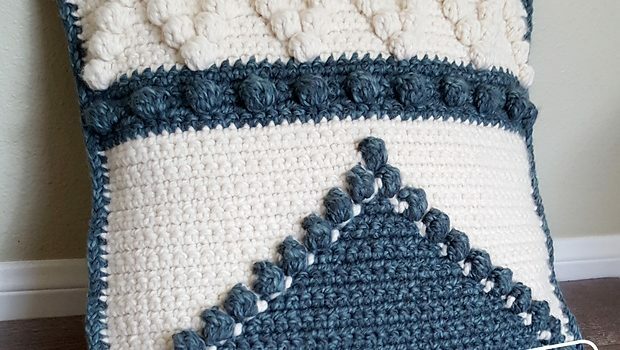 This pretty crochet bobble pillow pattern might make you feel a little old, but it will definitely bring back great memories. Pillow fighting reminds me of childhood and the game we used to play as young children especially during sleepovers Such a common and fun childhood activity! These days, pillow fights are a serious competitive sport for women in Japan. Did you know that? 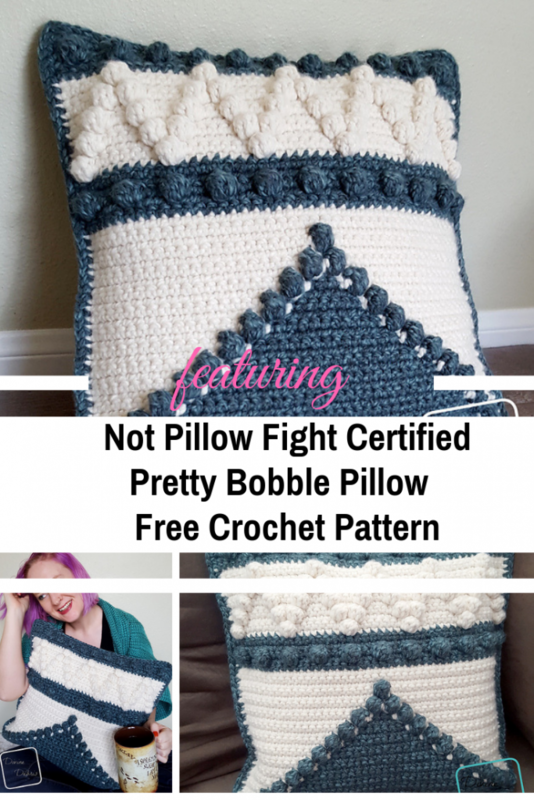 This featured pattern is the awesome Not Pillow Fight Certified free crochet pattern designed by DivineDebris.com. Who doesn’t love bobbles? They’re fun to do, they add a real dimension to your work, and they make whatever you’ve made really pop. In the Pretty Bobble Pillow, you get to combine color blocking and bobbles to create a classic looking pillow – that would look great as a bag too if you’re into that – that you can customize with colors as you’d like to give you a unique pillow each time you make it.